Last week our Wilderness and Large Carnivore experts spent a week in central Italy to visit Majella National Park, home to the Majella Wilderness. Majella National Park is situated in the Abruzzo Region. It is one of the most impressive, wild and extensive mountain ranges of the Apennines, containing dozens of peaks higher than 2 000 m.
Majella Wilderness is home to an amazingly large and rich Wilderness. It is including the most inaccessible and wildest area of the Central Apennine. In Majella Wilderness you find several glacial relicts, which had a widespread distribution during the quaternary glaciations. Now you see the mountain pine, dwarf poppy, capillary sedge and alpine aster especially at high altitudes. Due to its altitude, inaccessibility and prominence, large areas of the Majella National Park are uninhabited. Nearly half of all mammal species found in Italy are present in Majella Wilderness. The Apennine wolf, wild boar, red deer, roe deer, wildcats, chamois and brown bear are all found here. The golden eagle is often seen and other spectacular sights include the white-backed woodpecker, the honey-buzzard, lanner falcon and the dotterel. Majella Wilderness has been a partner in the European Wilderness Network since the first Audits between 2005 and 2010. The Majella Wilderness has a Platinum label, the highest quality in the European Wilderness Quality Standard. By September 2018, our Wilderness expert team visited the Wilderness again to conduct the Renewal Audit. Our team spent multiple days out in the field to assess the latest situation and developments. Together with discussions with the management these field impressions area currently analysed for the Re-Audit Report of Majella Wilderness. Our colleagues discussed with the National Park Management also the opportunities to work together on projects. There are several projects starting or ongoing, focussing on sustainable tourism, human-wildlife interaction, and more. 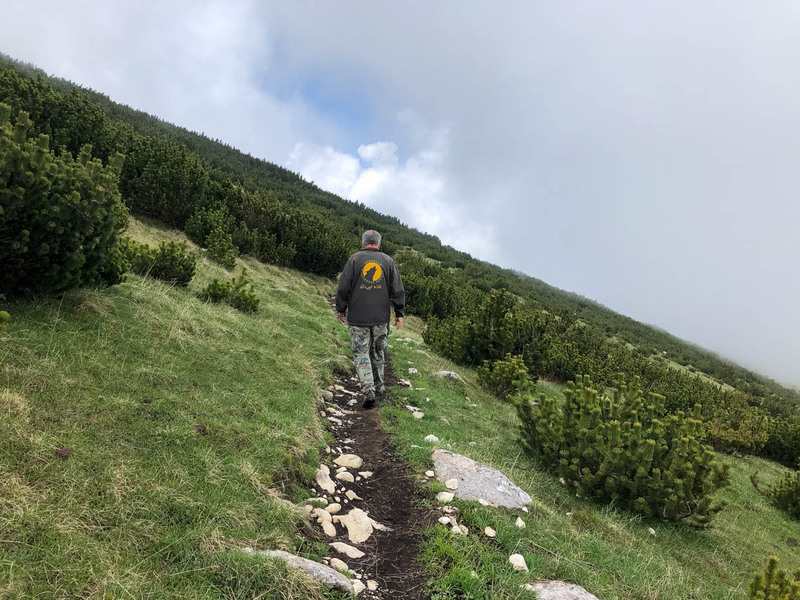 Over the next months European Wilderness Society and Majella National Park will discuss the options for extended collaboration, besides the European Wilderness Network. The European Wilderness Society is looking forward to visit Majella Wilderness again in September.